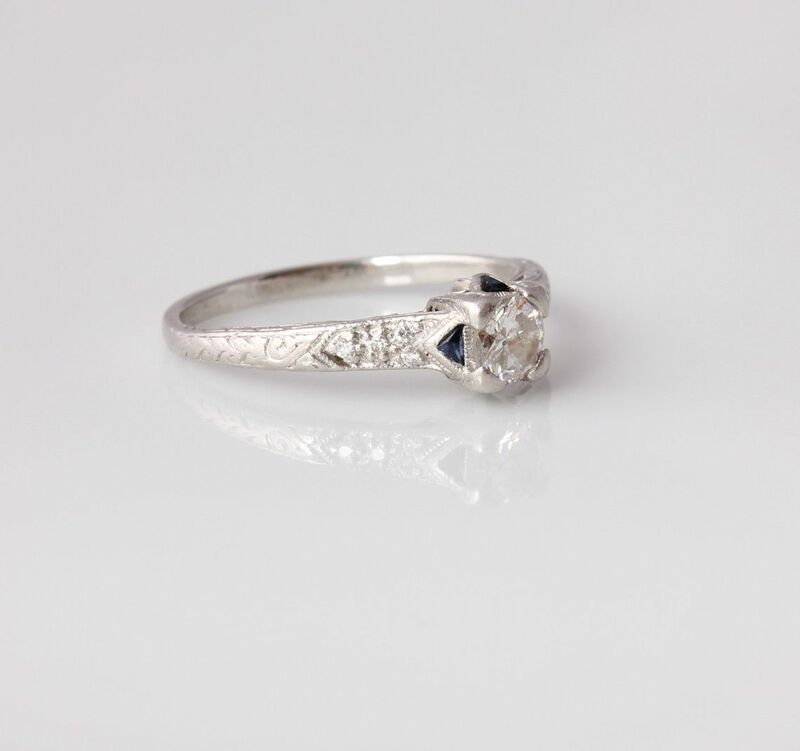 Art Deco 1920's Platinum Natural Diamond & Sapphire Ring. Size O 1/2. 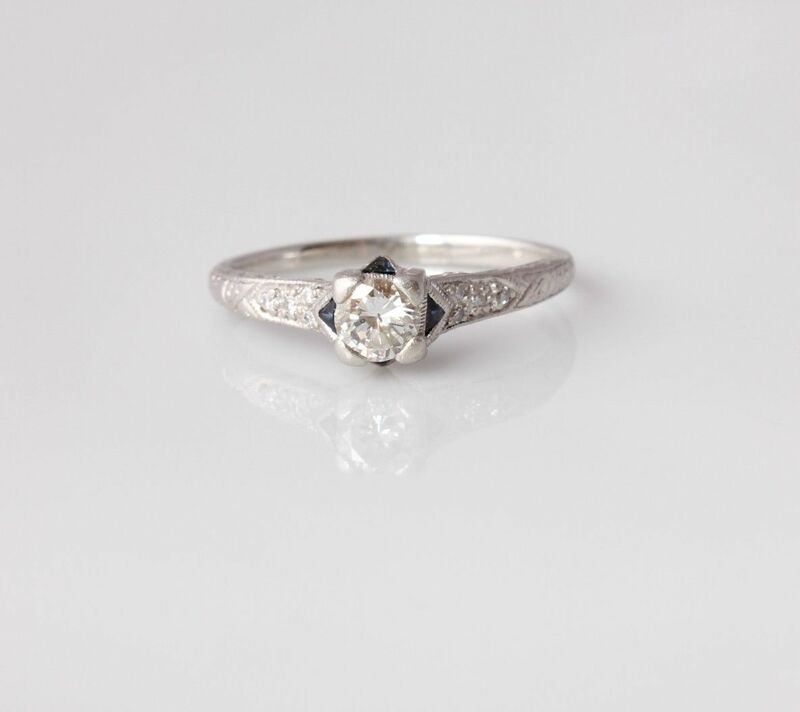 This wonderfully stylish Art Deco ring dates from the 1920's, is made of Platinum and has a central brilliant cut natural diamond of 0.37ct which is sparkly, bright and lively. Surrounding the diamond are 4 calibre cut sapphire accents and each shoulder has 4 brilliant cut diamonds. 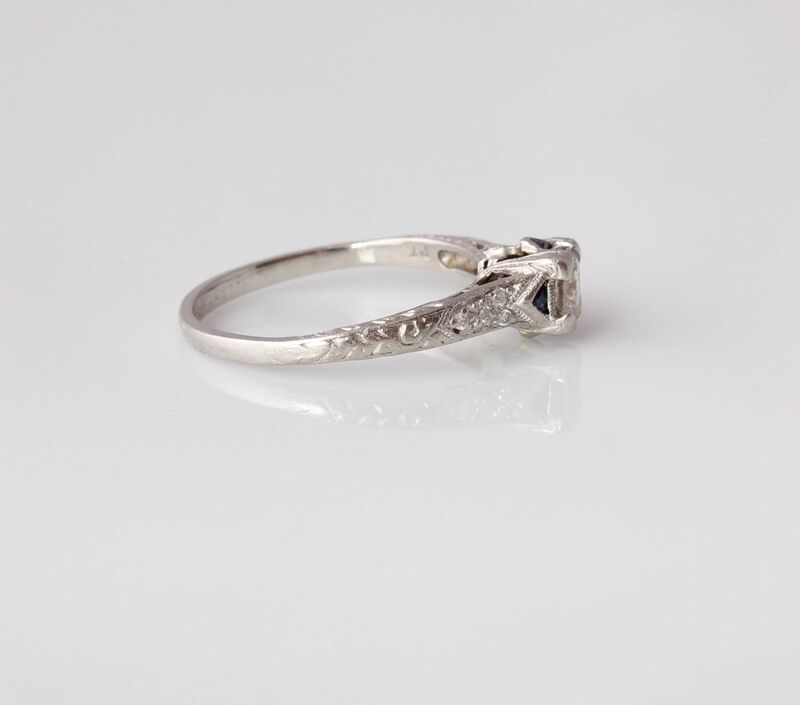 This beautiful ring would make a really stunning Engagement ring or gift. Materials: Platinum band and mount. 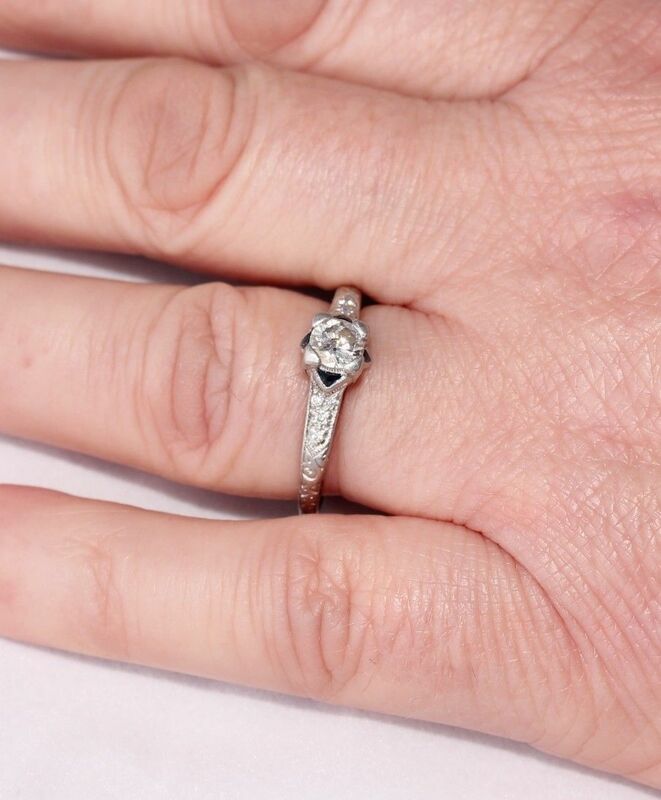 1 central natural brilliant cut diamond of 0.37 ct. 8 Natural brilliant cut diamonds on the shoulders totalling approx 0.03 ct. 4 calibre cut sapphires. Diamond details: Colour: K. Clarity: SI2. 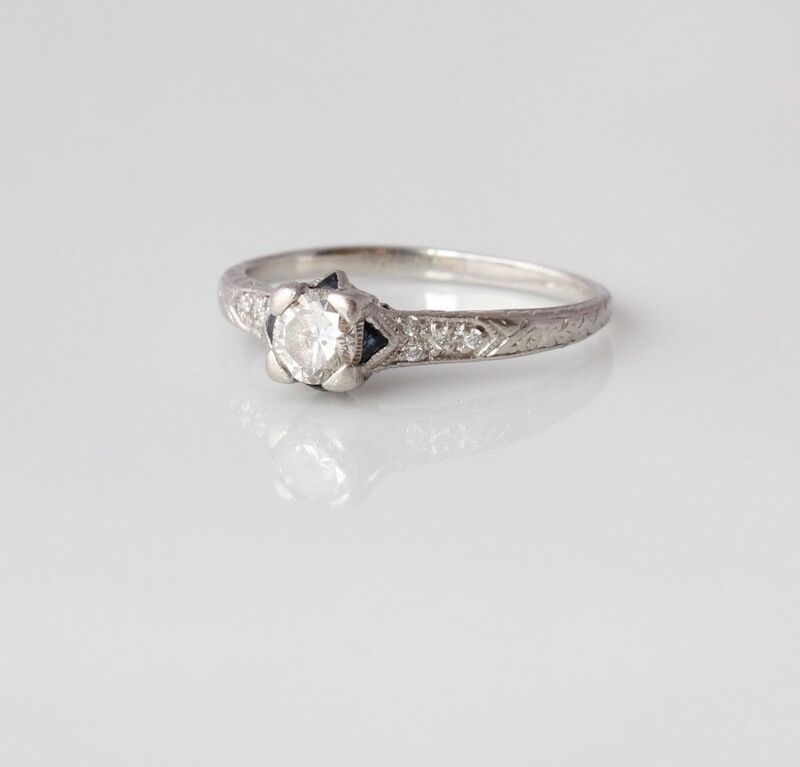 Comes in an antique ring box. Condition: Very good antique condition with light signs of wear in keeping with age. Professionally cleaned and ready to enjoy. Please see pictures. 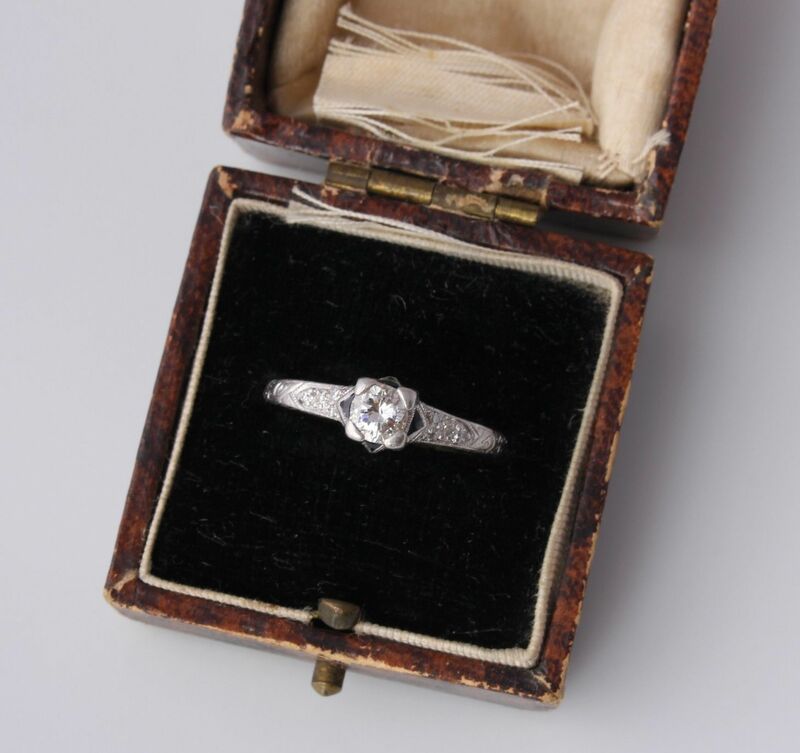 Comes in an antique ring box which has age related wear.